Everything about Angel is on the wrong side of the tracks. She lives in a run down house with her abusive drunk of a father. Her boyfriend is a deadbeat and she can’t even hold onto a dead end job. That is, until she is turned into a zombie. Now things are starting to look up for her. She has a job at the morgue which she is actually good at. She’s had to give up the drugs and alcohol and she’s managed to find a few friends who think more of her than she thinks of herself. But there a zombie hunter out there somewhere and she needs to find him before he turns his attention to her. My life as a White Trash Zombie is seriously good fun. It flows beautifully is suffused with snarky and intelligent humor, has a good dose of adventure and mystery and just a little romance. It works on every level. The second in the White Trash Zombie series is every bit as good as the first. Just when Angel’s life is starting to look up, a body she picked up from a mysterious research facility is stolen from her at gun-point, and with her criminal record, nobody is believing her story. Now her job is on the line, her relationship with her new boyfriend Marcus is on the rocks, and someone is killing off witnesses. If she doesn’t get to the bottom of the mystery her parole might be revoked and she could very well end up back in jail. With little choice she accepts some help from an unlikely source and the race is on to solve the puzzle and save the day. With these two books Diana Rowland has well and truly cemented her place as a favorite author. 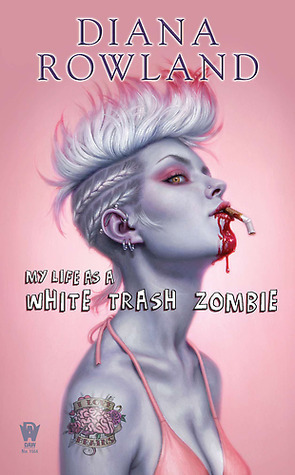 The White Trash Zombie books are reminiscent of Molly Harper’s Jane Jameson / Half Moon Hollow books. They are intelligent, snarky, good fun and easy to read. I love everything about them. 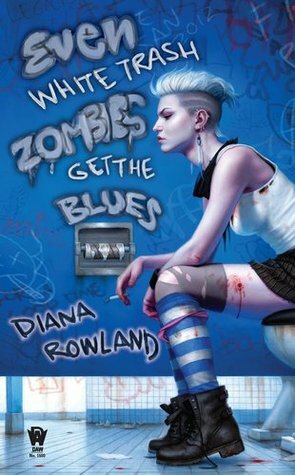 This entry was posted in Uncategorized and tagged diana rowland, Molly Harper, zombie by setaian. Bookmark the permalink.